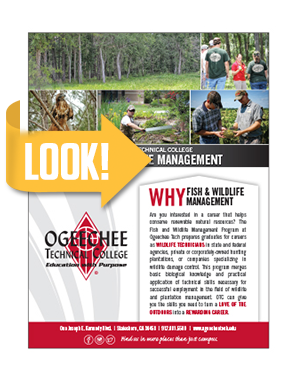 Casey McCall Corbett is the new Fish and Wildlife Management instructor for Ogeechee Technical College. She received a Bachelor of Science in Agriculture from the University of Georgia (UGA), majoring in Biological Science. 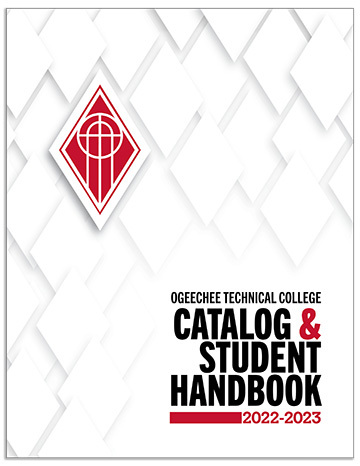 Casey has previously worked as the Tech Prep and School to Work Coordinator at Southeastern Technical College, science teacher at Tattnall County High School, small business owner, and the Education Coordinator at the Georgia Southern University Center for Wildlife Education. She is a certified Hunter Education Instructor for the Georgia Department of Natural Resources and holds Georgia Master Naturalist certification from the UGA Cooperative Extension Service and the UGA Warnell School of Forestry & Natural Resources. Her hobbies include anything that involves her family and the outdoors. Enrollment in the FWMT program will increase. The FWMT program will retain qualified students. Successful students will graduate from the FWMT program. The Fish and Wildlife Management Program prepares graduates for careers as wildlife technicians in state and federal agencies, private or corporately-owned hunting plantations, or companies specializing in wildlife damage control by emphasizing a combination of basic biological knowledge and practical application of technical skills necessary for successful employment in the field of wildlife and plantation management.